Persaudaraan Setia Hati Terate (The Brotherhood of Setia Hati Terate/PSHT) is the biggest pencak silat organization from Indoenesia. Founded in 1922, it has been spreading out throughout the world. There are hundred thousands of new wargas (warga is a call for those completed all stages and sworn to be a part of this organization). Not only spreading throughout Indonesia, it has also been spreading out to European countries, American countries, and even throughout the world. 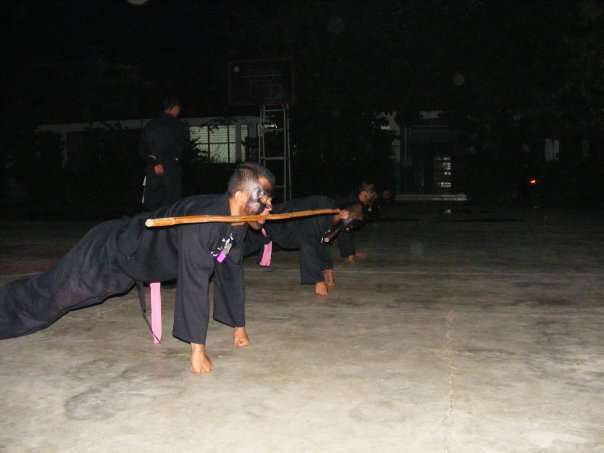 I started to follow the exercising of this pencak silat in July 1995, when I was at the first year of high school. Before joining this martial art, I observed some unique habbits the students (a calling for those being trained). They used to shake hands to each other. I was wondering why. Besides, eventhough they fought (sparing fight) and they got some wounds, they never kept revenge. Because of them I decided to join the training. It took me about three years to complete all steps to be Warga Tingkat I. I had to fight harder than I imagined before. I had to attend the exercises three times a week started at 8 p.m. to 5 a.m. The way the trainers trained us were unimagined. They were really killers. They kicked me, beated me, and whatever they wanted to do. Pushing up, sitting up, and many other techniques were trained. Bleeding was not strange anymore for us. But you know, I found something diferent. The organization teaches us the concept of brotherhood. This only concept makes us closer and tighter to each other. We recognize others as our brothers and sisters. Moreover, after being officially welcomed to the big family of PSHT. Wherever we meet, whoever we meet, as long as we are members of this pencak silat, we are brothers and sisters. Here, I find the real brotherhood. We do not differentiate to each other, no matter we are. I love SH Terate, I love PSHT. 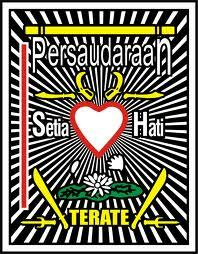 0 Response to "Persaudaraan Setia Hati Terate (PSHT): The Biggest Organization of Pencak Silat"